Gost Workwear Inc. is a distributor-wholesaler of a wide range of work apparel, work boots and work gloves and more. Being in business since 2002 we have always strived to provide the workforce with both high quality and socially responsible products. We STRONGLY believe that Canadian and American manufacturing are not only important for our economy but perhaps more importantly, ethically responsible as well. On top of these reasons we are also able to maintain tight control over the quality and quantity of our products as they are made right here! When you place an order with us you can expect to have one of our expert customer service representatives help you all the way through the ordering making process should you require any help. Our fully Bi-Lingual staff operates directly out of Québec so you can expect us to fully understand the nuances of being part of the Canadian workforce. Gostwear.com is successful because we know our market and can meet your needs. Gostwear.com eliminates high costs for fancy packaging and middlemen. We are also able to purchase in large volume which effectively lowers the price for you our end user! You as a customer just pay for the quality of the garment. 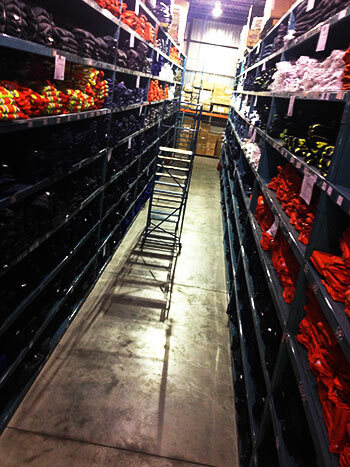 We ensure customer satisfaction by pricing our products as closely as possible to wholesale cost. Because we are highly customer service oriented, we like to think of Gostwear.com as a service rather than a store. As we are located in Canada all of our prices are listed in Canadian dollars as well. If you haven't yet purchased online, this is the best way to start! At Gostwear.com, we understand and respect your concern about the privacy of any information you supply while at our site. We do not sell or share information about our customers to any third parties. Any information we collect from you is only used in fulfilment of your order.